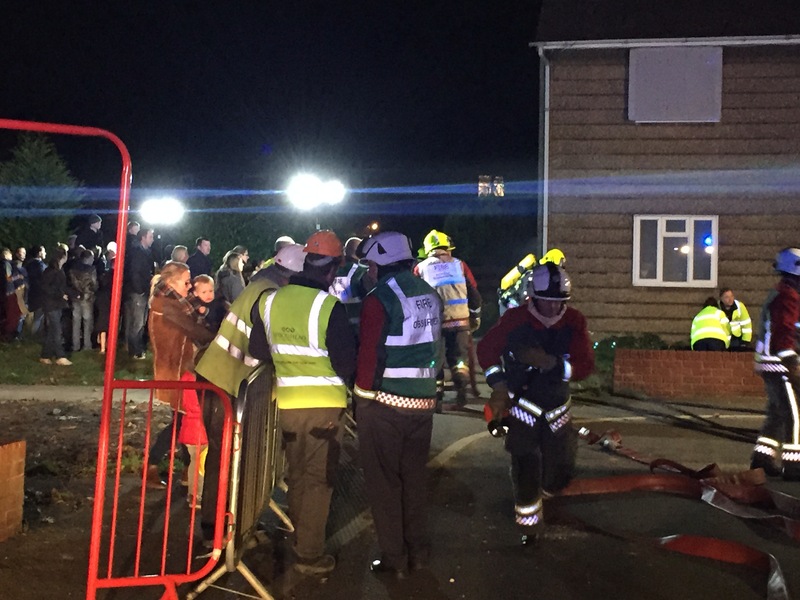 Nottinghamshire Fire and Rescue Service had the rare opportunity to tackle a house fire scenario in a real property this week as part of a collaborative training exercise in Harworth. 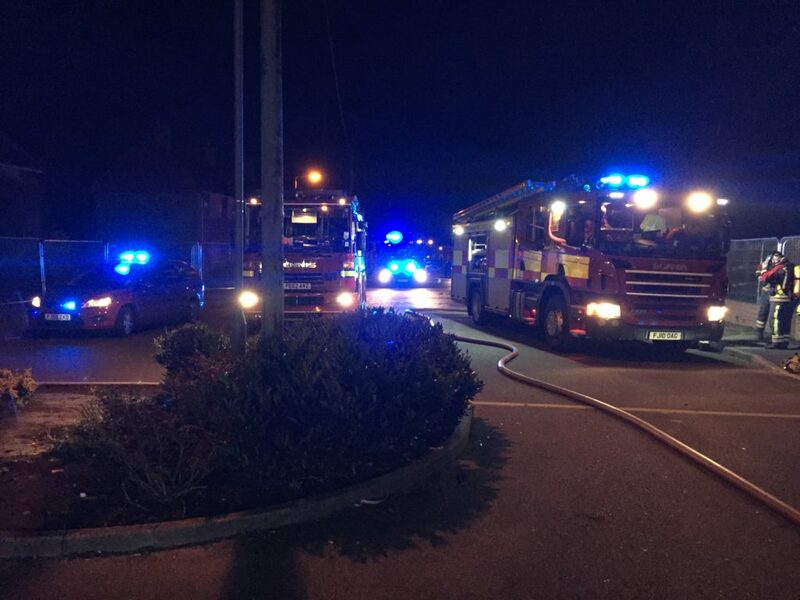 In partnership with A1 Housing, Woodhead Living, and East Midlands Ambulance Service (EMAS), the Fire Service were able to co-ordinate a ‘real-time’ response to a situation where people had been reported to be trapped in a property in Harworth. 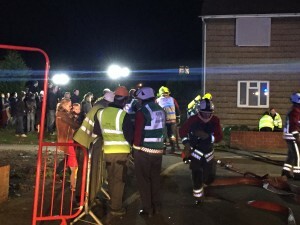 The training exercise saw crews from Harworth, Retford and Worksop, including emergency first responders and representatives of EMAS, put through their paces in a smoke filled property on Thompson Avenue that had been provided by A1 Housing as the street has been earmarked for demolition. Terry Rose, Watch Manager for Harworth, said: “It’s pretty unique to practice in a house and this was an opportunity not to be missed. Because it was a property that is due to be demolished we were also able to practice certain techniques and routines that we wouldn’t anywhere else, even as far a breaking a door down. “This was a fairly large exercise with four pumps and more than 35 fire fighters where they were responding to a ‘persons reported’ scenario and were required to locate six people. This is the kind of response that would be seen if it had been a real call and it was extremely for all three stations to have been mobilised. The scenario included filling the house with artificial smoke and crews were required to enter the building and recover the residents of the property (represented by dummies), some of which had been placed in less than obvious places. “Some of the dummies, especially those representing children were hidden in cupboards and in wardrobes, which would happen in a real life scenario,” added Terry. “When you go into a smoke filled house, it’s very unusual to find someone lying in the middle of a room. The training exercise took place on Thompson Avenue in Harworth, where 18 ‘Airey’ houses are due to be demolished and replaced with 24 new council properties. Don Spittlehouse, Managing Director for A1 Housing, said: “A1 Housing takes Fire Safety extremely seriously and along with our partners Woodhead Living we were more than happy to oblige when Nottinghamshire Fire and Rescue approached us with this request. 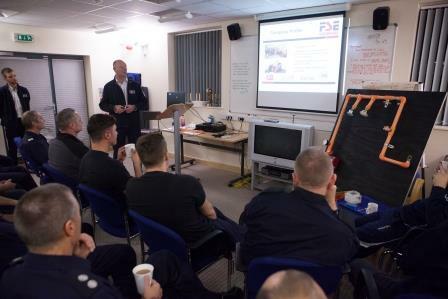 “In addition to this training exercise, FSE Fire Safety Systems, in partnership with Woodhead Living and A1 Housing, will be providing specific training for Fire Fighters in Harworth on the new fire sprinkler system that has been installed in all of the new A1 Housing properties on Smith Square.